I have used WordPress from day one of my blogging. I have my reasons for sticking to the blogging tool. WordPress is growing rapidly and many more people are excited about it. Starting with WordPress is simple. Any website can be built with WordPress. Whether it’s a simple blog, an eCommerce website, a news dedicated website, a video streaming website, etc. WordPress is just the solid foundation that allows for the building of just any structure. Everyone using the tool seems to be happy. That doesn’t mean that WordPress doesn’t have any pitfalls. It does have areas that sometimes make its users mad at it. But the advantages outweigh the disadvantages. That explains the exponential growth of the WP community. What’s more fascinating is the ease involved when starting a WordPress blog. Colin Newcomer has written an excellent step-by-step guide on how to start a WordPress blog. There are many of such guides on the Internet. You are able to completely build your WordPress site without hiring wallet threatening developers. Some weeks back, my guest Suzan Valez published an ultimate guide for WordPress beginners. An interesting piece to read. I’m not the only one seeing the positives in WordPress. There are thousands of users out there. So I reached out to some of them to find out why they think WordPress is better. Q. 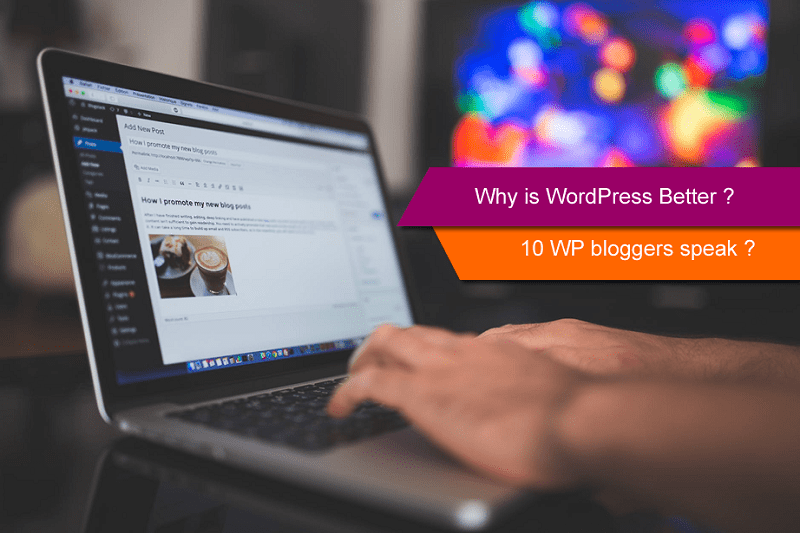 Why Is WordPress Better Than Other Blogging Platforms? In many cases, bigger is best. That’s where WordPress comes in. It’s the biggest and most well-known blogging platform out there that offers a professional service to all writers and bloggers. Their blogging platform is way above the rest, is easy to use, and comes with great customer service and tutorials. It’s easy to not only publish posts but to also leave comments on other blogs and become a part of the many blogging communities, which is an essential part of being a successful blogger. However, it’s not only WordPress that offer support and encouragement, but so does most of its users. I’d never have gone on to publish my first collection of short stories without the support and encouragement I get from those that use WordPress. I use WordPress because I can achieve results faster and less expensively than on other platforms. The abundance of WordPress themes and plugins makes it fast and easy for WordPress-savvy users to add new features and functionality to their website at potentially much less cost than the competition. This gives WordPress website owners a distinct advantage over others who may have to design, build, test, and deploy custom code to achieve the same outcome. Similarly, WordPress has a couple of excellent SEO plugins, free and paid, that streamline many of the technical and editorial aspects of an SEO’s job. They help non-technical WordPress users learn and master on-page optimization. These benefits can lead to faster evolving, better-optimized websites that attract the right audiences and result in more or better conversions. For years, I’ve used WordPress on all my blogs. I would hand code the static site, then add a blog with WordPress. Back in 2014, I built my whole https://THGMwriters.com website on WordPress. How much easier it is! The main reason I swear by WordPress is the size of the developer community. When something needs to be created, somebody creates it. It’s like magic. A great example is when I finally got around to converting from http to https. I found several plugins to search ad replace the non-secure version with the secure version in blog posts, on pages, in images, etc. I chose Search Rejex, and it worked great. I assume the others would have worked great, too. I could not so easily have done this with hard-coded pages. I might not have been able to do it in Joomla or Drupal. But in WordPress, it was no sweat. If there’s a need, somebody creates it. I use WordPress across all of my websites. For small entrepreneurs that want to get a site up and running with ease, you cannot really beat WordPress. It is inexpensive, it is flexible, it is easy to manage and there are developers that are always working to make things better. I find that it provides a low cost to enter and test a market, and can generate revenue several fold in the future. Technically, it is good for SEO and it can be quite lightweight. You can easily add plugins to customise your site the way that you want it to be for your audience. It’s a great entry-level CMS. When I built my first site, I didn’t know anything about the technical aspect of managing a site or what are the pros and cons of each platform. I researched online and saw that most internet marketers recommended WordPress.org for a regular site and Shopify for an eCommerce site. So, I choose WordPress. Since then, I have worked on clients’ sites that are using other platforms like Shopify and Webbly and I must say that I still prefer WordPress. WordPress is easy to use, even if you aren’t techie (like me), there are many great plugins that you can use, free and paid themes that you can customize to make the site look gorgeous and professional. Stay away from free platforms that give you a limited control on your site and few options. There are many great opportunities for cheap and quality hosting. Users have loads of control over most areas and aspects of their site. There are loads of free plugins and themes make implementation a breeze. When I think of how awesome WP is I always think Yoast SEO, need I say more. Once you have some experience you can grow to add features like forums, membership for SAAS sites and even stores. There are impressive premium themes like Genesis (which is super fast and easy to use). WordPress is an Open Source Platform and widely used by Biggest Bloggers to Newbie Bloggers. that’s Why WordPress has more than 30% Share on the Internet. that makes WordPress the most popular blogging platform. WordPress has some great features & advantages for a newbie blogger to professional bloggers. First of all, WordPress is very to install & get started with WordPress. now all hostings offer one-click WordPress installation. users have no need to be expert in coding. Wordpress is not an SEO friendly platform by default but we can make it SEO friendly by using plugins like Yoast SEO. then make changes in SEO settings. which is not possible in any other WordPress alternative. WordPress is also a suitable platform to start any type of site or blog. anyone can start a simple blog to fully e-commerce site on WordPress. That’s why WordPress is more advanced and most reliable platform For blogging. 1. Resources: WordPress offers more resources than other blogging platforms: For example, many blog posts are written about WordPress in case you need information. Also, Facebook groups and forums that are devoted to WordPress exist you can turn to for help. 2. Plugins: So many plugins are available for WordPress, people have written books about them as well as blog posts. I know; I read one! WordPress has actually been criticized for having too many plugins! 3. Strength in numbers. Since more people use WordPress than any other blogging platform, you know it’s valuable. All these people can’t be wrong. 4. Choice: You can use WordPress.com if you’re not ready to invest in your blog. WordPress.com offers live support if you have questions. For more serious bloggers, you can use WordPress.org. Whatever CMS you use, you should definitely use WordPress. Why is WordPress better than other blogging platforms? WordPress is a one-click installation. The dashboard is also very easy to navigate thanks to menus, drop down menus, tags, categories, and widgets. There are WordPress communities all around the world (known as WordCamps) where developers, designers or users meet and talk about their experiences and help each other out. Since the community is very localized, you will always find a helping hand within your locality. If you want to see WordPress love, just go to Twitter and search for #wp15. There are over 48,000 free plugins that you can use on WordPress. The best part is that the plugins are all validated, whether they are WordPress or third-party plugins. WordPress plugins themselves have been downloaded over 1.5 billion times. One of the most essential plugins, Jetpack, which gives you insights into your blog traffic, and keeps your site secure was installed on over 2 million websites in 2017 alone. When you use WordPress for your blog, you are a step ahead in terms of your SEO. This is because the CMS is already optimized for some SEO aspects like speed and easy adding of title and alt tags to images. The fact that WordPress is open source gives it an edge over other blogging platforms. This is because developers are free to contribute and make the platform better. WordPress updates keep being rolled out which points to the efforts being put in to make the CMS the best and get rid of any bugs and security issues. Since its inception, there have been at least 32 major versions released. On average, a major version is released every 152 days. WordPress has highly optimized and responsive designs that will look great on all devices, thanks to the variety of templates that are easily available on the WordPress theme directory and 3rd party vendors like ThemeForest which has over 11,000 themes. I have over 10 blogs on WordPress and I love it. But it’s not all rainbows and unicorns when it comes to scaling your blog on this platform. If you have set-up WordPress website once – later on it gets super easy. Now I can create a website using WordPress within an hour. But as you might know – first time hurts the most and I remember when I made my first WordPress blog it took me almost an entire day. Themes – uploading a new design or re-doing the old design is as easy as shopping on Amazon. Go to Themeforest, find a WordPress design you love, buy it and upload it through the WordPress dashboard. Done! Plugins – You can find a plugin for literally anything. So customizing your website, adding new features, etc. with WP is a walk in the park. SEO – Thanks to Yoast WP plugin – getting organic traffic from Google couldn’t be easier. We usually create a new website and build several marketing funnels and after awhile at least one of the funnels turns into a nice source of revenue. Connecting Apps – If you want connect Google Analytics, Mailchimp, Facebook pixel or any other tool – everything can be done with the help of plugins. Scaling WordPress – More plugins, more traffic, more articles, more pictures eventually will slow down your site and making changes on WordPress when you have a ton of content and traffic can be a pain in the a*s.
So to sum-up, if you are starting out – WordPress is the best platform but if you are planning to grow to one million visitors per month very quickly then WordPress might not be the best fit. But of course, less than 1% of all sites ever see that many visitors. I’ve used WordPress (the self-hosted version), since 2009. And during that time I have dabbled with other platforms but I’ve always preferred WordPress. 1) The community – WordPress has a huge community, particularly of developers. This community helps to keep pushing WordPress forward, and they contribute code to the core. And a number of them create free tutorials. So, even though I’m not a coder, I can usually find the answer to any challenge I might face. 2) The themes – There are no shortage of themes. This means we’re not all limited to like 10-20 different themes. We have access to thousands – this helps out websites stand out from the crowd. 3) The plugins – Plugins offer the ability to add endless functionality. Whether you want a plugin that makes CSS tweaks easier, you want to add an opt-in form, or improve your website’s security – there’s a plugin that can help you. Some plugins even go so far as to allow you to build more complex websites such as job sites or even dating sites. While WordPress isn’t perfect (no CMS is), it makes so much possible. So that’s it from experienced WordPress users. If you are a WP user, let me know why you think it’s better in the comment box. If you also have something against WP, do comment and let us know. Good hear experts opinion on this subject. Yes, WP is the best bet when it comes to blogging. It is no doubt the best bet. The vast opportunities with its available plugins and other connected easy to do technical things associated with WP people will get attaract many to join this platform. Thanks for chipping in a contribution. I’m yet to see the CMS that will push WP back. It’s gaining more and more strength. Thanks for including me in this Enstine. I think it’s also worth noting that many highly frequented, robust and respected websites like Techcrunch, The New Yorker, BBC America, The New York Times, The Wall Street Journal Law Blog, Mercedes Benz, and the Walt Disney Company all use WordPress. I’m glad you submitted your contribution and yes wpbeginner is a huge database for WP related content. Thanks for giving me the privilege to contribute to this. The content has actually satisfied the topic. Thanks for your input bro. Very graceful bro. You are doing a great job bro. WordPress is really good for a faster result. I use WordPress since long time and I fill so easy to work with. It is great to see you here, I have used many different platforms before WordPress starting from Blogger, Tumblr, Weebly and even WordPress.com. But I have never been satisfied until I used self-hosted WordPress and I am loving it and sticking with it forever. It gives full control and ownership of your blog. Most importantly with the many plugins and themes available you can create any type of website you are looking for, instead of paying a developer thousands of dollars for a custom solution you can start on WordPress for few hundred dollars using the right theme and plugin. Oh yes that’s correct about the flexibility of the platform. And with the child theme function, there is just nothing that stops one from having a completely unique site. Thank you so much for asking me to contribute to this article, Enstine. It was a pleasure to put something together for you. I’ve seen many people come over to WordPress. 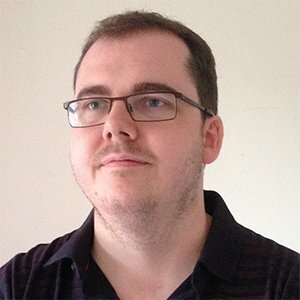 I haven’t gone self-hosted yet. I’ve heard too many horror stories about it, although I do know some writers who love their self-hosted blogs. Maybe one to think about for another day? For now, I’m happy with using WordPress for hosting my blog as I know I have a great backup of people there if anything goes wrong. Thanks for accepting to be part of this exciting content. The real problem with self-hosted WP is security but that can be confidently handled at different levels, beginning from your web host. The only issue with sites hosted by WP itself is scalability. You have to take just what they give you. Plugins get highly limited but I think they do well to assure security. I recommend you stick to what works for you buddy. Amazing post… this is really wonderful to find all these experts together in a post. Thanks for your input Emma. WordPress is one of the best CMS platforms and popular worldwide. It is user-friendly and provide lots of amazing features to its users. Here, great to know the perspective of the experts about WordPress. Thanks for being part of the show in the comment. WordPress community is rapidly growing and we are sticking to it.